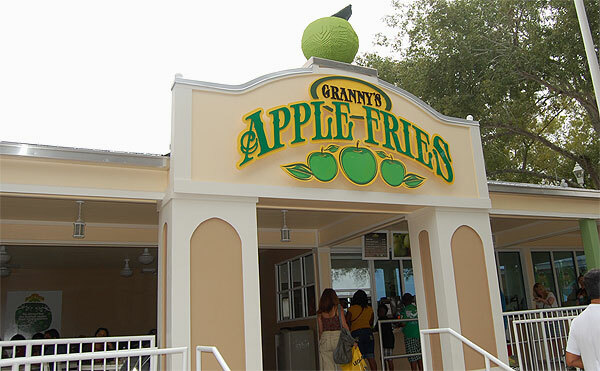 I think it’s pretty well known that Granny’s Apple Fries at Legoland are one of the most delicious theme park snacks. 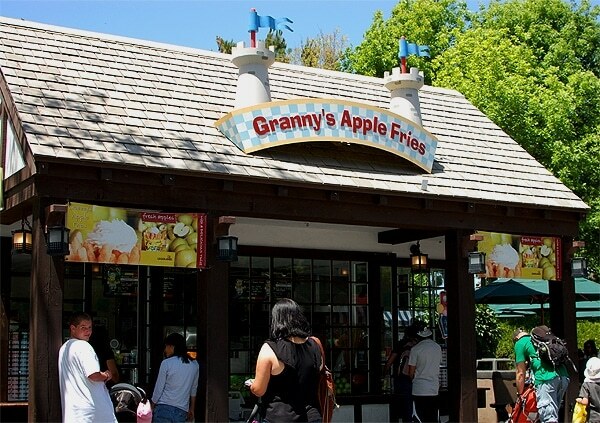 I first enjoyed Granny’s Apple Fries at Legoland California last spring. With Legoland Florida now open, I was eager to see how they would compare. 1. For my first taste of Granny’s Apple Fries, they were delicious. As good as the hype! 1. Small amount of apple fries –that picture was taken before eating any! 1. Made fresh to order – crispy on the outside, soft and apple-y on the inside. As good as I remembered! 2. Larger quantity – just look at all those apple fries! 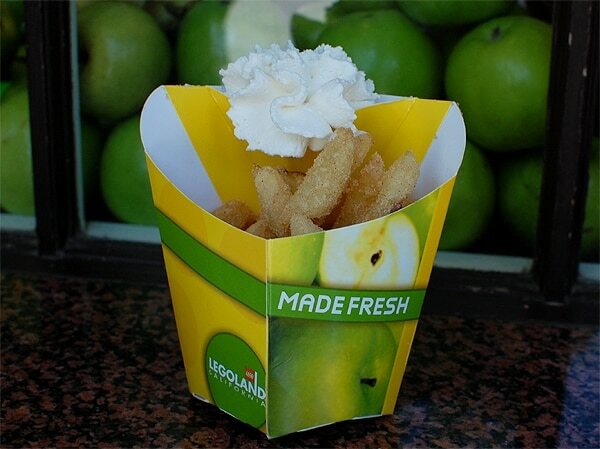 Legoland Florida’s Apple Fries lead by default because the portion size was almost double Legoland California. 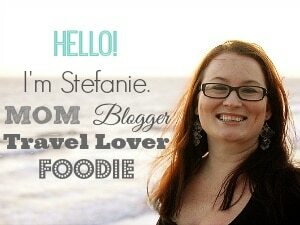 Honestly, both were equally delicious, and I would be happy to eat them at either location. 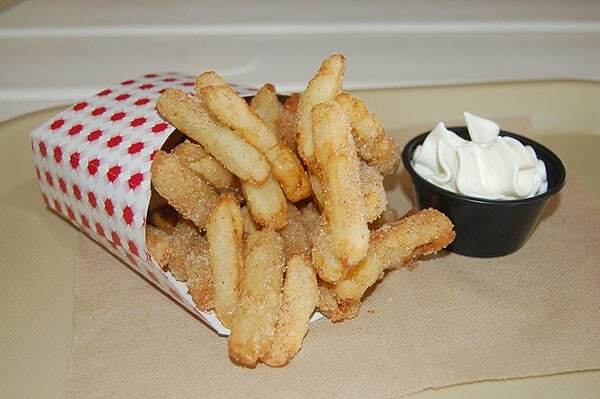 Granny’s Apple Fries are a win all around! OMG I want some of those… NOW!